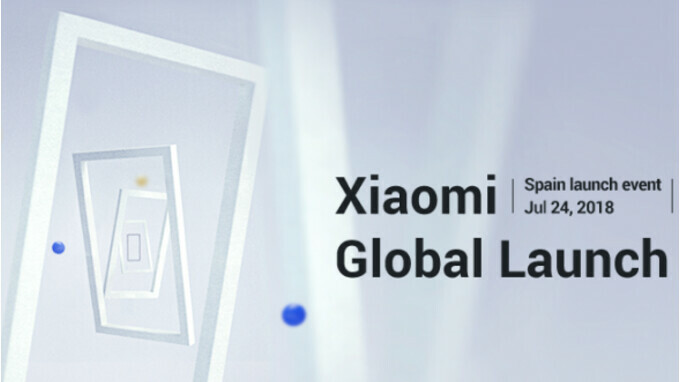 Partially confirming rumors that arose earlier this week surrounding the Mi A2, Xiaomi has announced that a new “Global Launch” will take place in Spain later on this month, on July 24 to be precise. It’s worth noting that the company actually makes no specific of the upcoming Mi A2, although the timeframe coincides with what is expected from the low-cost brand. In addition, the timing also fits in perfectly with a competition the company held late last month through its Mi Community that would give a limited number of users access to the smartphone in Madrid, Spain later this month before the official unveiling. In terms of what can be expected from Xiaomi’s next Android One smartphone, it’s worth noting that the smartphone will be based on the Mi 6X that was launched earlier on this year, albeit with different software. This means, externally, a tall 18:9 display is to be expected alongside an aluminum build and a vertical dual-camera setup on the rear. Also, on the inside, the Snapdragon 660 by Qualcomm should make an appearance alongside the choice of 4GB or 6GB of RAM and either 32GB, 64GB, or 128GB depending on consumer preference. Lastly, due to the Android One nature of the device, stock Android 8.1 Oreo is to be expected straight out of the box. Now, on the topic of availability, Xiaomi is yet to officially reveal when sales of the device will commence, although an online retailer previously suggested sales would begin August 8, just over two weeks after the official launch event. Once this happens, in addition to the different storage combinations that will be on offer, customers are expected to have the choice between black, blue, and gold on the color front.